Do you have tired, cold feet? 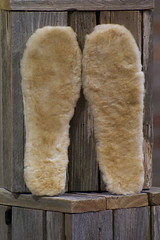 Revive them with our 100% real sheepskin insoles. 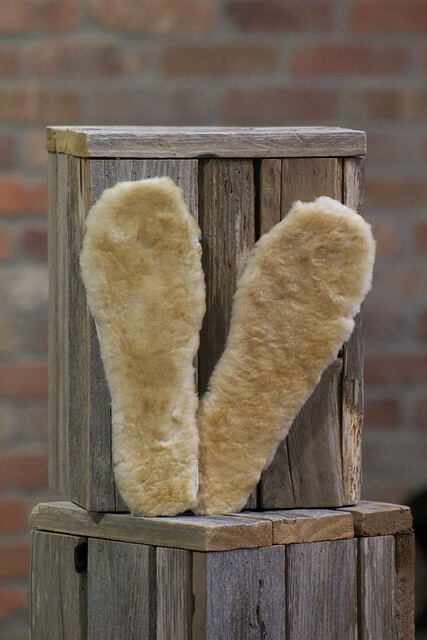 Our sheepskin insoles are mounted on a plush foam platform that is approx 1/4" thick. This is the perfect way to add extra warmth and comfort to any shoe. These sheepskin insoles fit in any shoe or you can replace your insole in most of our sheepskin slippers to make them like new again. Fits most size feet (ladies 4 - 12; Men,s 6-14) Just simply follow the dotted line on the back and cut to fit.